We welcome this apparent progress toward peace, and commend Secretary of State Kerry for his leadership and effort and pledge our support for such efforts as they move forward. We pray that this is the beginning of a process that will lead to a lasting agreement that will bring true peace and stability for a region that has known conflict for thousands of years. We call on both the Israelis and the Palestinians to return to the negotiating table with a true willingness to work for peace and we pray that the vision of the prophets will soon be fulfilled. JCPA and JStreet comments after the jump. This is an opportunity that for the past two years has been extremely elusive. It grows out of the recognition that peace and security, prosperity and independence, cannot be reached by any path other than direct negotiations between Israel and Palestinians. We have no illusions about the difficulties ahead. The issues that must be resolved are profound. But the status quo is unacceptable. Israel’s future as a secure and democratic nation state of the Jewish people cannot be fully preserved without establishment of a stable, viable, and independent State of Palestine. We encourage both sides to show the courage, flexibility and persistence necessary for these talks to be successful. 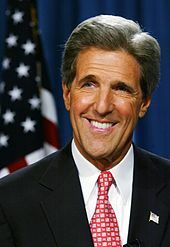 This is a great achievement for Secretary of State Kerry who invested so much time and diplomatic effort in finally bringing Israel and the Palestinians back to the negotiating table. Last week, we and the American Task Force for Palestine joined together in Washington, D.C. to meet with members of the administration and leaders in Congress to express our support for this effort and for a negotiated peace. Two states for two peoples cannot be achieved without a strong U.S. leadership, and we are thankful to Secretary Kerry and President Obama for their leadership. But the hard work is just beginning. As we move forward, we urge all who want peace to support these negotiations and to encourage reconciliation, not division. Secretary Kerry deserves the recognition of the entire world for his determination and creativity in achieving this breakthrough. We are confident he will remain fully engaged as the parties get down to negotiating. We thank President Obama for making this issue a top foreign policy priority of his second term. We call on Congress and American Jews to get fully behind this peace effort to give the parties the support they need to make the tough decisions necessary to resolve their conflict. Achieving a two-state solution is a vital U.S. national security interest and would inject much-needed stability into an increasingly unstable region. It would deal a setback to extremists and terrorists around the world who have exploited this conflict to mobilize support for their violent methods. Such an agreement is also the only way to secure Israel’s future as both a democracy and a Jewish homeland and would provide Palestinians with a vehicle in which to fulfill their self-determination and national aspirations. We know that difficult days lie ahead, but we are convinced that with persistence, creative mediation and international support, a deal is within reach. Vocal minorities on both sides can be expected to oppose the negotiations going forward, but must not be allowed to frustrate the desire of clear majorities of Israelis and Palestinians for a two-state solution to end this conflict.